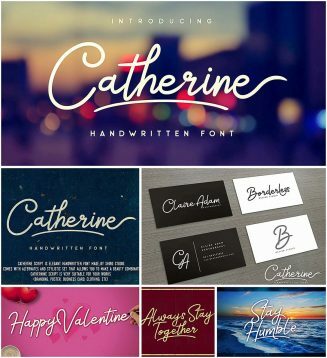 Introducing Catherine script- elegant handwritten font. Perfect for branding, poster, logo, and any other artworks. Tags: cursive, elegant font, girly, handwritten font, script.